The Crazy Coqs is a wonderful venue. With a deliciously decadent feel, this hidden gem hosts an eclectic line-up of talent, attracting big names as well as newcomers to a fabulously intimate basement bar. With cabaret tables well-spaced around the relatively small stage area, audience members can feel that they are truly up close and personal with the performers on stage. Supported by a three-piece band and two backing singers, Anne Steele makes her London cabaret debut with her show, ‘Welcome to the Big Top’, a journey through the three-ring circus that is her life, full of music and stories and a huge dose of warmth. Anne is an award-winning and established star on the New York cabaret circuit, as evidenced by the presence of some very enthusiastic American fans in the audience. She gives us an insight into the many different parts she plays – wife, lesbian, mother, singer, songwriter – and invites us to celebrate all the parts that we are also simultaneously playing every day. The set list offers an excellent mix of musical styles, from Britney to Broadway with plenty in between. With a voice as powerful as hers, Anne could be forgiven for filling her show with belting power ballads. Instead her choices perfectly reflect the stories that she tells, moving from up tempo crowd pleasers to softer pieces, beautifully delivered and clearly meaning an awful lot to her. I was only familiar with around half of the songs performed and it was a treat to hear something new, with no weak choices. Her stories are also perfectly suited to the show. Anne shares a memory of her life as a dancer in New York auditioning for Cats, talks about her love for her wife and huge appreciation for everybody who has fought for equality and made it possible for her to be living the life that she is as an openly gay woman. A highlight for me was Anne’s hilarious memory of unknowingly performing highly age-inappropriate songs on the front porch of her childhood home, something that is now being repeated with her own young family, much to the amusement of Anne and her wife. Her performance of John “Cougar” Mellencamp’s ‘Hurts So Good’ was delivered with self-deprecating cringing at the thought of her nine year old self singing such gems as “Sink your teeth right through my bones, baby, Let’s see what we can do”! Conversely, her performance of an original song, ‘I Miss Those Days’, dedicated to an old friend who died suddenly and unexpectedly, was not only a beautiful song showing that she is as talented a writer as she is a singer, but also a beautiful moment of reflection and heartfelt emotion. As a performer, Anne Steele has perfected her craft in the piano bars of New York. With a megawatt smile and hugely expressive eyes, she manages to draw the audience in with just a look or a spontaneous quip. Strutting onto the stage wearing a Ringmaster’s jacket and playfully brandishing a whip, she has the audience in the palm of her hand from the very start – clapping along to the high octane numbers and listening closely when the tempo changes, often creating that special pin drop silence that she mentions when talking about a great pianist she had the pleasure of working with in New York. Anne finishes her show with a powerful rendition of ‘This is Me’ from The Greatest Showman, leaving all of us ready to take her advice and become the Ringmaster of our own circus! She will be releasing a new EP in January 2019 and hopes to return to London. When she does, I highly recommend that you join her for an evening of absolute showmanship. 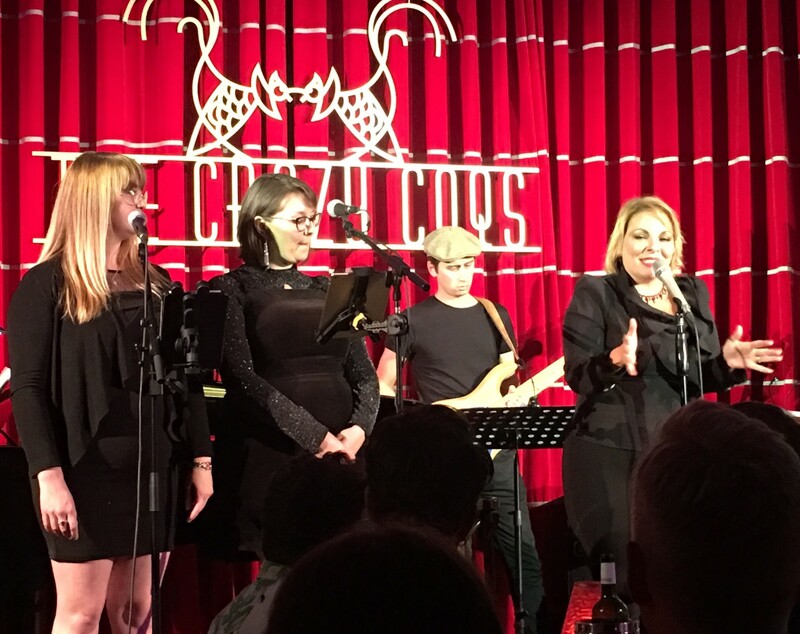 Anne Steele is playing The Crazy Coqs until 2nd October. More information about her and her future projects can be found here. If you like this review you might also like my review of Six, Miss-Leading Ladies and Chicago.